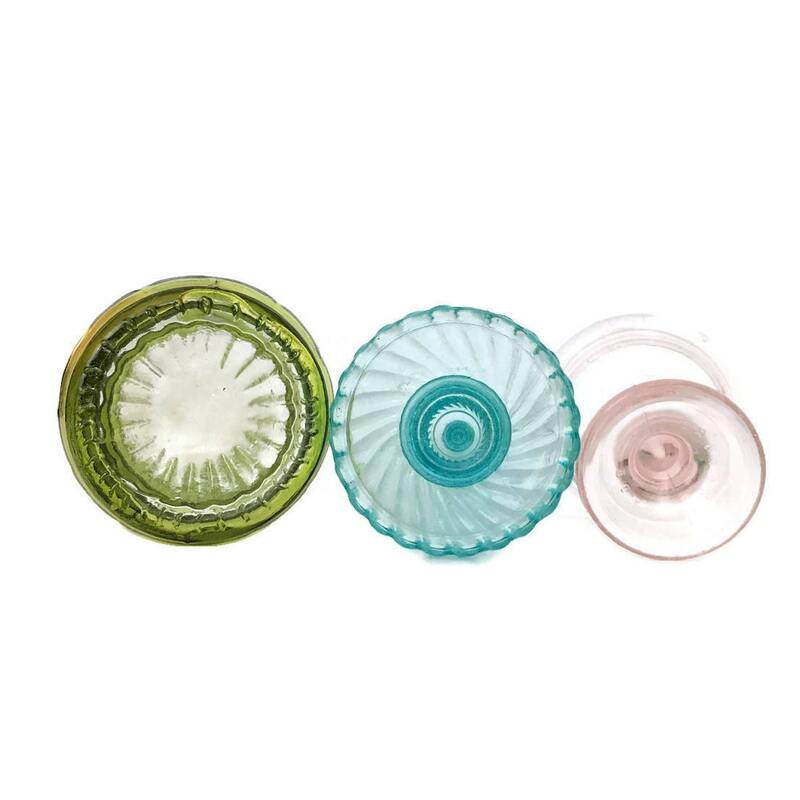 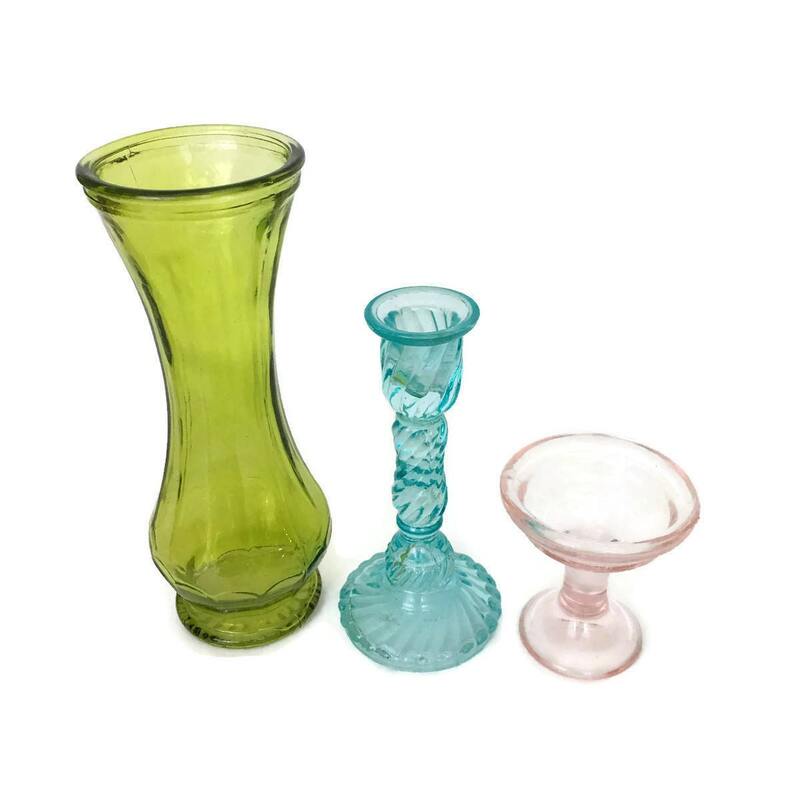 Set of three eclectic pieces of colorful glassware - a lime green vase, an aqua blue candlestick holder and a pale pink champagne glass. 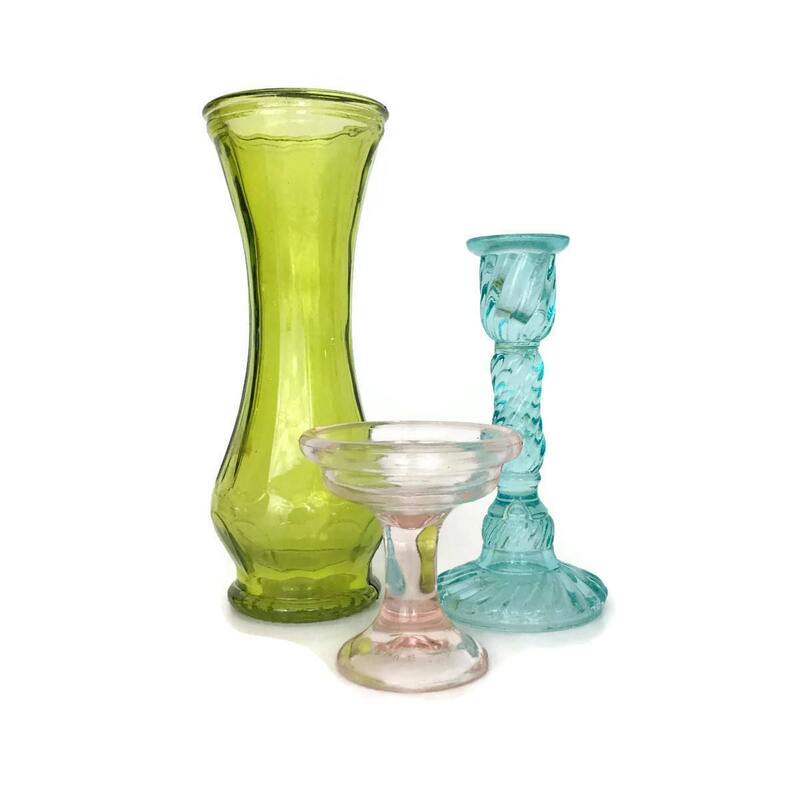 These would be great to incorporate into a vintage bridal or baby shower theme. 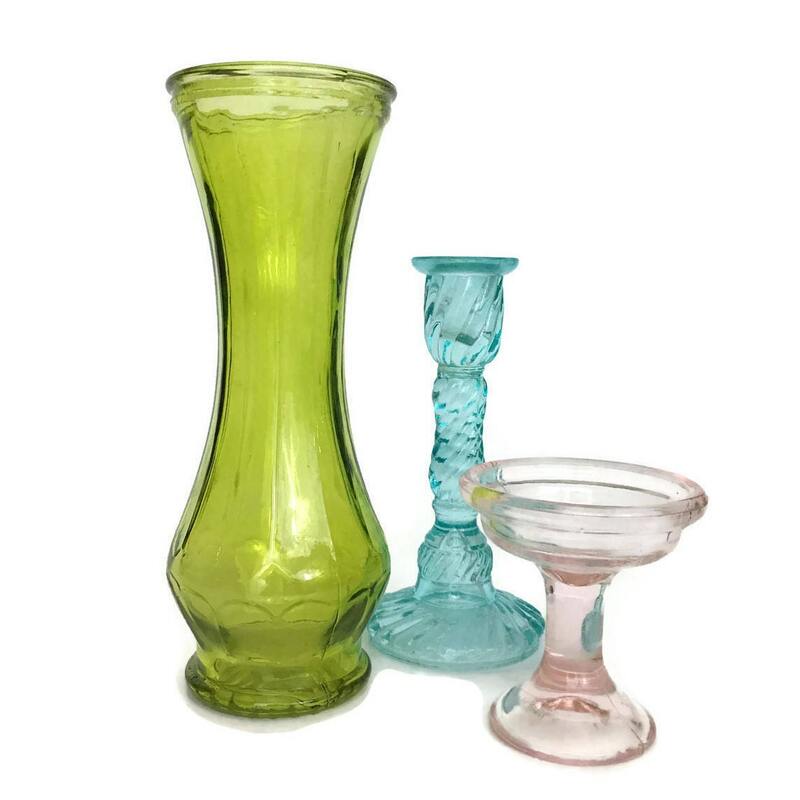 + Vase is 9"H, 1 lb 5 oz. 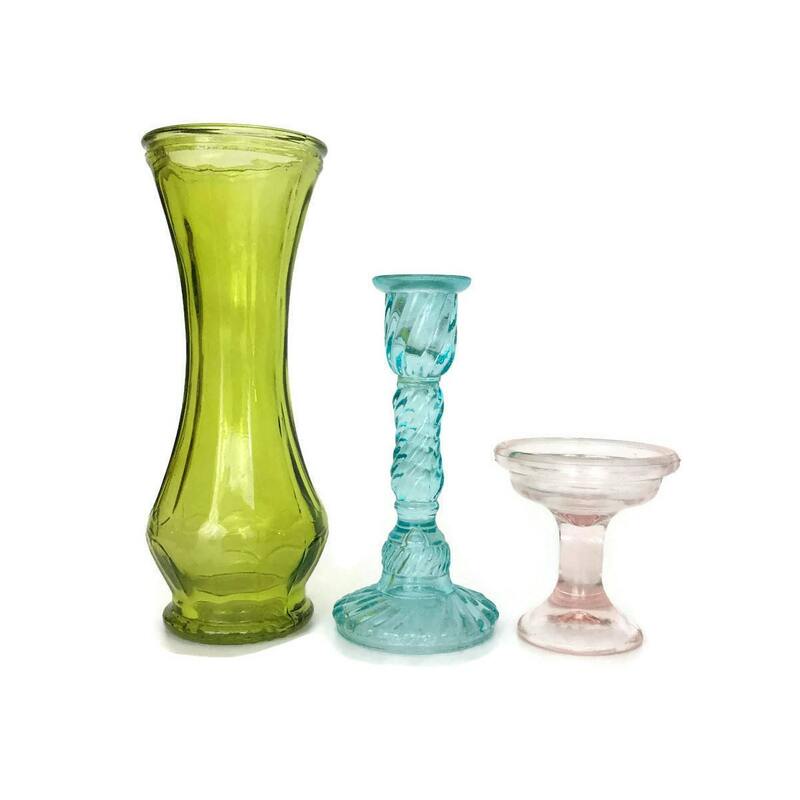 + Candlestick is 6.5"H, 9.4 oz.